Bermuda Open (LetterPerfect, 1996). The family also includes Bermuda, Bermuda Dots and Bermuda Squiggle. Inspired by lettering by Hallmark Cards artist Myron McVay. 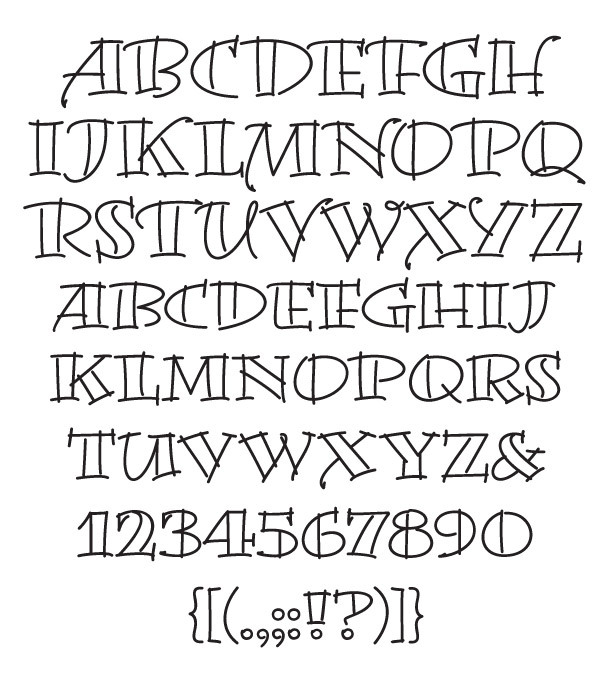 The letters were originally written out with a Speedball B-3 nib on visualizer paper. Concept and digitization by Garrett Boge.